Dunhinda Falls, situated about 5 km from Badulla, the capital of Uva Province, are formed by the town's namegiving river, the Badulu Oya. 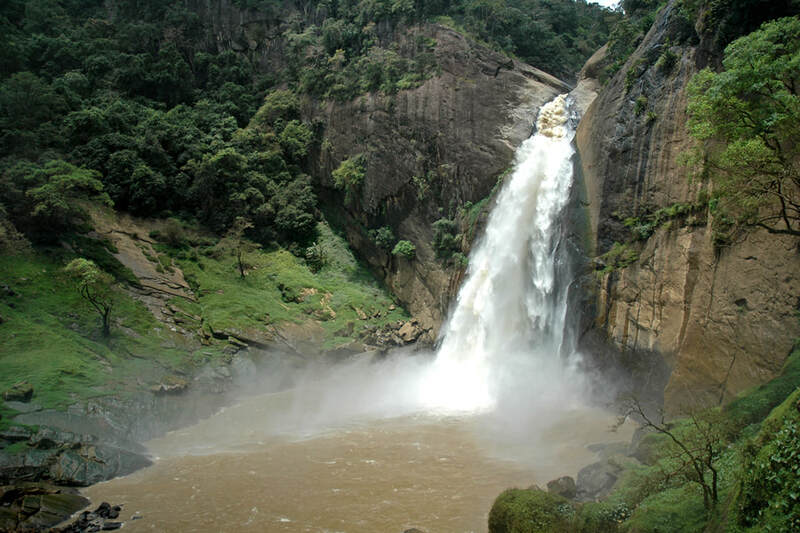 The 64 m high waterfalls are got the name from the smoky spray surrounding the bassin, as “dun” in Sinhala means mist. An English name of Dunhinda Ella is Bridal Falls, as the shape of the waterfall resembles a bridal veil. The observation platform at the bassin of Dunhinda Falls can be reached via a scenic 1.5 km long jungle path. On the way, there is also a vantage point to the Kuda Dunhinda Ella, the “Small Dunhinda Falls” further downstream. Like many other waterfalls in Sri Lanka, Dunhinda Falls is threatened by a hydroelectricity project.